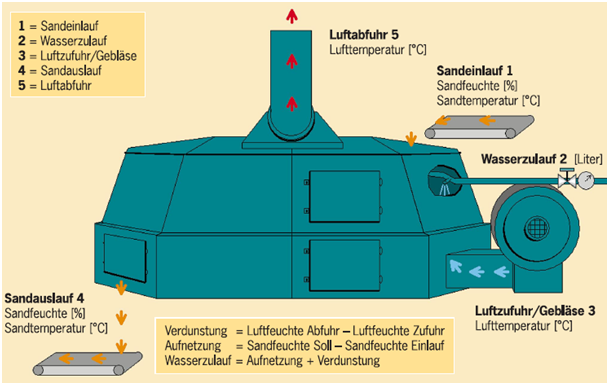 Sand coolers have the function to reduce the temperature of used sand to set ideal temperatures for reclamation. Cooling usually takes place by humidification (vaporization) and ventilation. Commonly, equipment like fluid bed coolers and belt coolers is used. 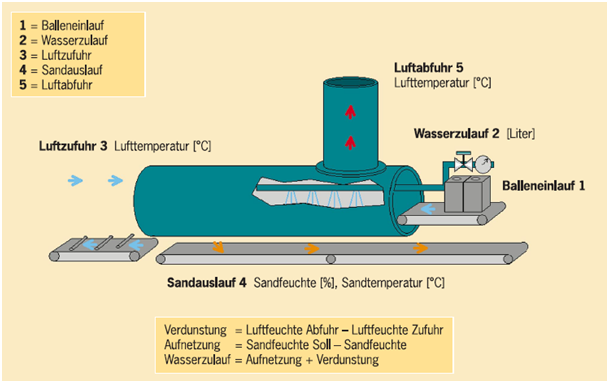 Figures 1 to 3 (datec Dosier- und Automationstechnik GmbH) show a schematic illustration of the functional principle of the process, particularly of the required dosing of water. Figure 4 shows typical example (KLEIN Anlagenbau AG). 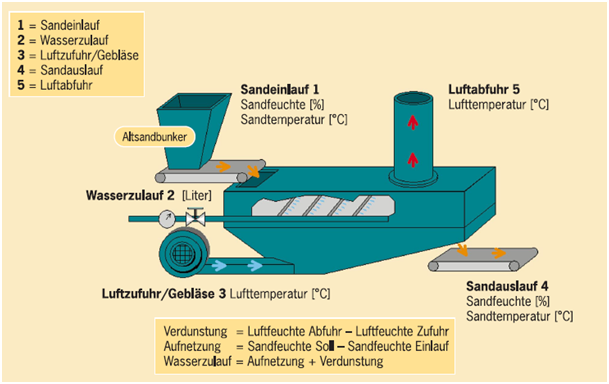 Mold sands with high temperatures (> 50 °C) lead to a series of problems if they are processed at molding machinery. The mold sand dries at the surface and increased condensation occurs at the core surface. This effect leads to increasing casting defects (see also Mold sand-based casting defect) that have to be corrected later in complex processes. 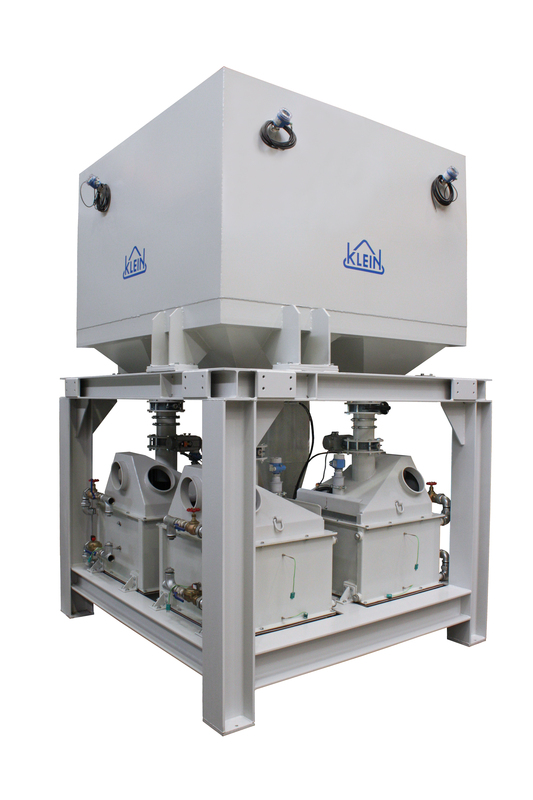 Used sand coolers are used to effectively cool returning sand after demolding. Another reason for this is to achieve sufficient humidification of the sand to initiate the importantAging process during storage in the bunkers. Used sand treatment in the process has the following function: The used sand is to be equally cooled and humidified.